Whoops! Things seem to be out of place here. Can your 3rd grader use her knowledge of the biosphere to set things right? 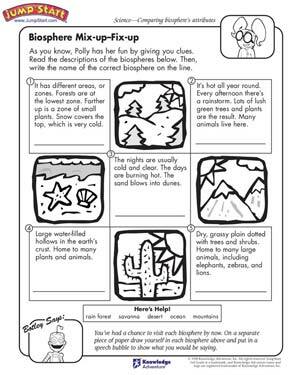 Once she’s proved her understanding of the different biomes on Earth, let her pack for a trip around the world with the suggested activity at the end of this free science worksheet for 3rd grade. Also check out these fun science activities for all grades.